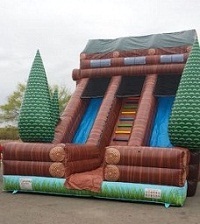 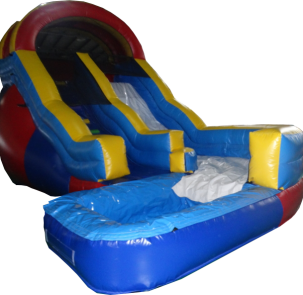 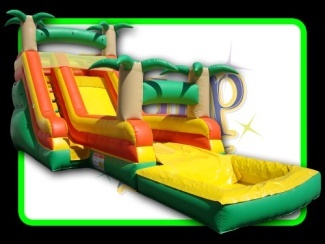 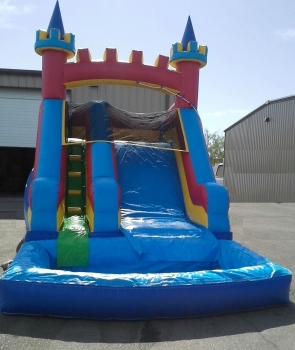 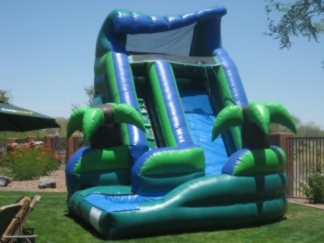 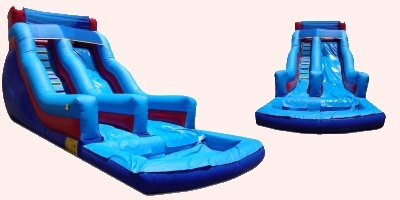 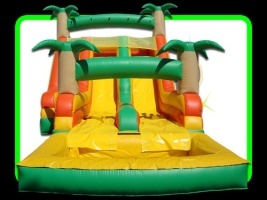 Water Slides Rental Tucson | Summer Fun Wet Slides Cool off in style. 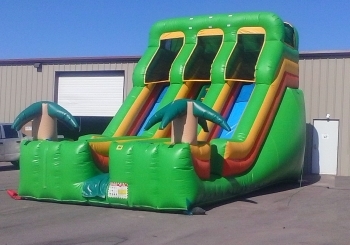 Slides Combo when one is not enough. 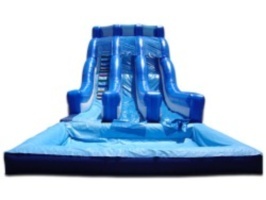 Wet 500. for up to 6 hours. 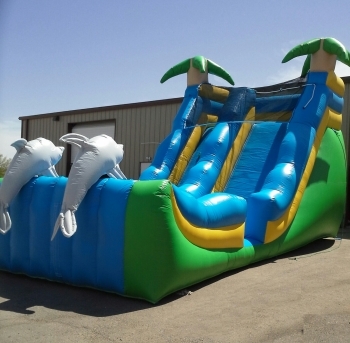 We have Water Slides and more options than anyone some with pools some with wet landings and bumpers. 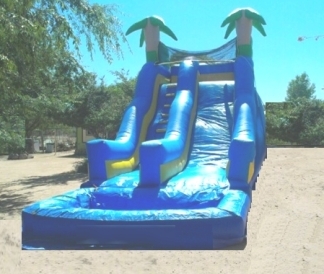 You must have access to water so delivering it to the parks is not possible.Please see dry slides for units that can be set up in the Tucson City Parks. 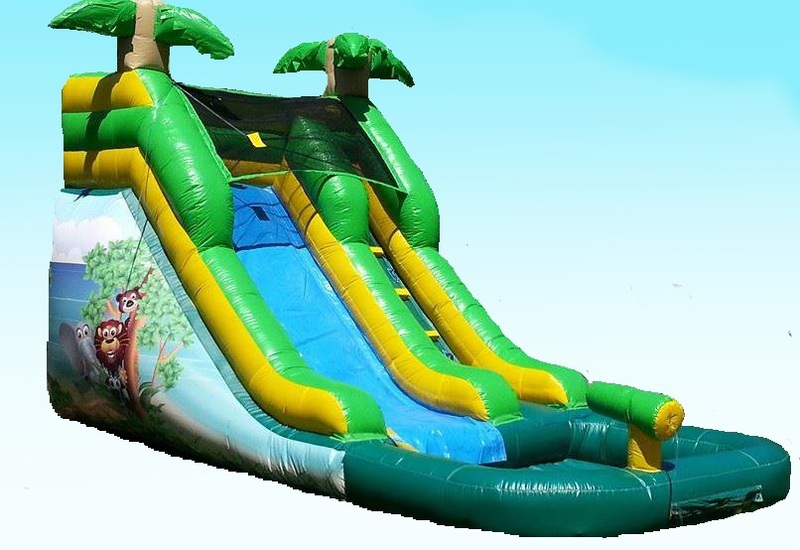 Please measure the area to make sure it will fit in the space required. 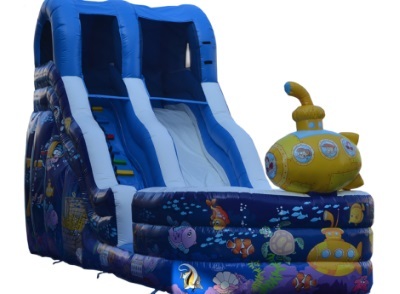 Order early for great summer fun!We will come and deliver your Water Slides at no extra charge as long as you are within our delivery are. 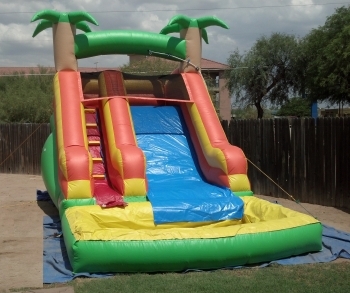 We will Travel outside of Tucson for and extra charge Please call us for the rates. 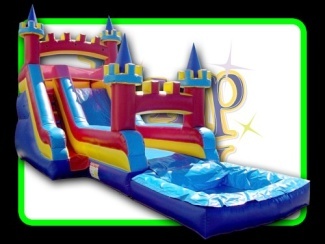 You must have an outlet on a 20 amp dedicated Breaker. 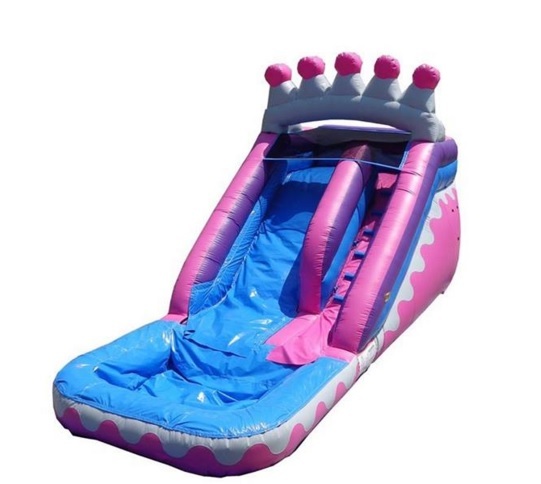 There is a mister hose at the top of each Water Slides that connects to your garden hose for hours of cool fun. 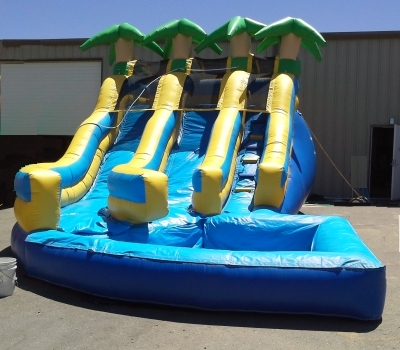 You must provide a garden hose for your Water Slides, It is a good idea to have a splitter and a second hose for your Water Slides so the driver can hook up the soaker hose on setup while the pool is being filled.